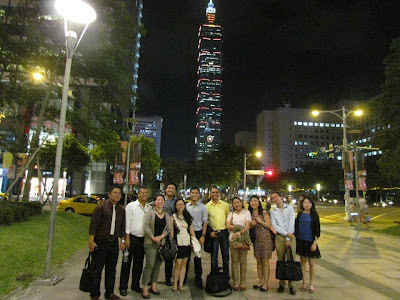 TAIPEI CITY, Taiwan – DLSU CE Transportation Eng'g (TRE) major students, faculty, and alumnus presented their respective researches at the 10th International Conference of the Eastern Asian Society of Transportationt Studies (EASTS) in Taipei City, Taiwan from September 9 to 12, 2013. Themed “Towards a Harmonized Society”, the conference is considered as the biggest transportation-related International Conference of the Eastern Asian Society of Transportation conference in the Asian region and one of the three major transportation conferences in the world. The conference commenced with opening speeches by Dr. Kuang S. Yeh, Minister of Transportation and Communications of Taiwan, Dr. Lung-Bin Hau, Mayor of Taipei City, Dr. Cheng-Min Feng, President of EASTS, and Dr. Hsin-Li Chang, President of the Chinese Institute of Transportation. Other Filipino participants from Mapua Institute of Technology (MIT), UP Institute of Civil Engineers (ICE), UP School of Urban and Regional Planning (UP SURP), and Ateneo de Manila University (ADMU) also presented their papers in the conference. DLSU CE Structural Engineering faculty and students attended the 13th East Asia Pacific Conference on Structural Engineering and Construction (EASEC-13) held on September 11-13, 2013 at Hokkaido University, Sapporo, Japan. Dr. Andres Oreta (Prof. of DLSU CE Dept.) presented a paper co-authored with Kenneth Brizuela (BSMS Student) entitled “A Computer-Aided Semi-Quantitative Seismic Risk Assessment Tool for Safe School Buildings.’ The paper by L. Garciano, I. Alvarez, J. Colobong, G. Decal and A. Tan on “Mapping the Vulnerability of Low-Cost House Roofs in Malate, Metro Manila due to Extreme Wind Speeds” was presented by Paul Alvarez (Undergraduate Senior Student). Dr. Lessandro Garciano (Assoc. Prof. of DLSU CE Dept.) served as chair of the parallel session on Disaster Prevention. The three day conference has a total of seven keynote lectures and 52 parallel sessions which covers topics on Structural Health Monitoring, Construction Management, Disaster Prevention, Composite Structures, Concrete Structures, Bridge Engineering, Seismic Design, Data Base Management, Structural Analysis, Earthquake Engineering, Steel Structures and Tall Buildings. The participants from the Philippines are those coming from DLSU which includes A. Oreta, L. Garciano, I. Alvarez, J. Colobong and G. Decal. There are also Filipino participants which come from other countries such as Dr. Allan Manalo (Univ. of Queensland) and Evdon Sicat (PhD Student at Hokkaido University). 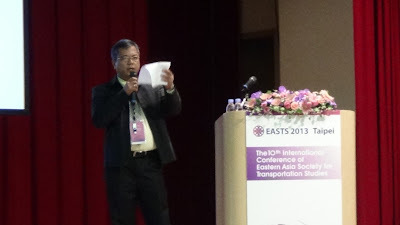 It was announced during the 3rd day that the EASEC-14 will be held in Vietnam in 2015. Dr. Andres Oreta, Professor in Civil Engineering was a keynote speaker at the International Forum on Civil Engineering Infrastructure Technology Transfer with the theme "Enhancing Japan's Contribution in Rapidly Developing Asian and African Countries" held at Nagoya University, Japan on August 31, 2013. He delivered his keynote paper on "Addressing Safety and Sustainability of Infrastructures in Hazard-Prone Countries." Oreta also acted as one of the External Evaluation Committee member for the Infrastructure Technology Development and Transfer Chair (NEXCO-Central) or INTEDTEC on August 30, 2013. INTEDTEC was created for two objectives: (a) Technology Development - Study on extending the life of road structures though health assessments, (b) Technology Transfer - Study on technological and methodological total systems for various civil engineering infrastructures as well as methods for technology transfer. 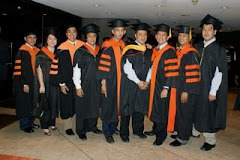 The host of Dr. Oreta was Prof. Victor Muhandiki of INTEDTEC. Prof. Muhandiki was a speaker in the ICCEE2012 organized by the DLSU CE Dept last November 2012. 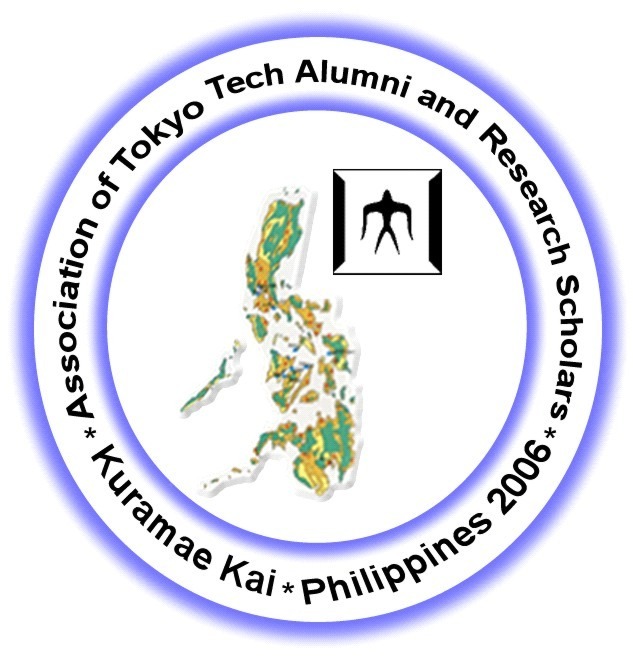 Dr. Oreta is an alumnus of Nagoya University (M.Eng 1991 and D. Eng 1994). During the visit, he met his former professors - Prof. Hayashi and Prof. Morikawa. He also met CE Dept chair, Prof. Nakamura who was his "sempai" or senior co-student. Oreta also was welcomed by Filipino Master's students under the Nagoya University Global Environment Leaders Program (NUGELP) who will be graduating this September 2013. They come from the Dept. of Public Works and Highways (DPWH) and SBMA. 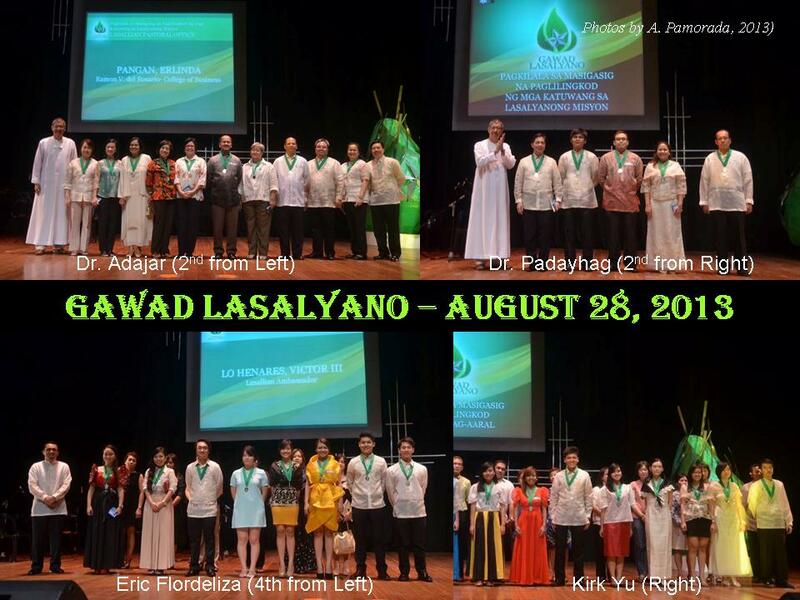 Last August 28, 2013, Gawad Lasalyano 2013 was held at the Teresa G. Yuchengco Auditorium. The event saw five members of the Civil Engineering department honoured for their service to the school. Faculty members, Dr. Mary Ann Adajar and Dr. Grace Padayhag were given the ‘Masigasig na Paglilingkod ng mga Katuwang sa Lasalyanong Misyon,’ for their invaluable service to the University. Dr. Adajar served as part of the Lasallian Pastoral Office and Dr. Padayhag as member of the Office of Student LIFE, specifically as an adviser of the Civil Engineering Society. Br. Michael Broughton, Vice Chancellor for Lasallian Mission presented the awards. Students, Ivy Sanchez (II-CIV), Eric Flordeliza (V-CIV) and Kirk Yu (IV-CIV) were given the recognition, ‘Masigasig na Paglilingkod ng mga Magaaral,’ for their active involvement in the offices under the Student Personnel Services Pool of the Office of the Dean of Student Affairs. Miss Sanchez and Mr. Yu are members of the Office of Counseling and Career Services as Student Representatives. Mr. Flordeliza is a member of the Office of Student LIFE as a Lasallian Ambassador. Respective office directors or representatives, Dr. Susana Estanislao of the OCCS and Mr. Xavier Lara of the Office of Student LIFE presented the awards. Gawad Lasalyano is an annual night of recognizing members of the Lasallian community who has shown tireless dedication in service to the school through the advancement of the Lasallian Mission or bringing glory to the University’s name. The event aims to serve as an avenue to inspire fellow Lasallians to continue in the excellence of the University in the fields of leadership, service, sports, campus media, culture and arts, military service, discipline formation, community service and faith formation. The 6th Civil Engineering Conference in Asia Region (CECAR 6) was held on August 20-22, 2013 at Hotel Borobudur, Jakarta, Indonesia. The theme of the conference was “Embracing the Future through Sustainability”. CECAR 6 was hosted by the Indonesian Society of Civil and Structural Engineers (HAKI). 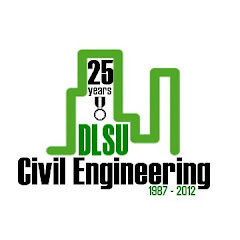 Three research papers were submitted by the Civil Engineering Department, De La Salle University, Manila and were published in the conference proceedings. 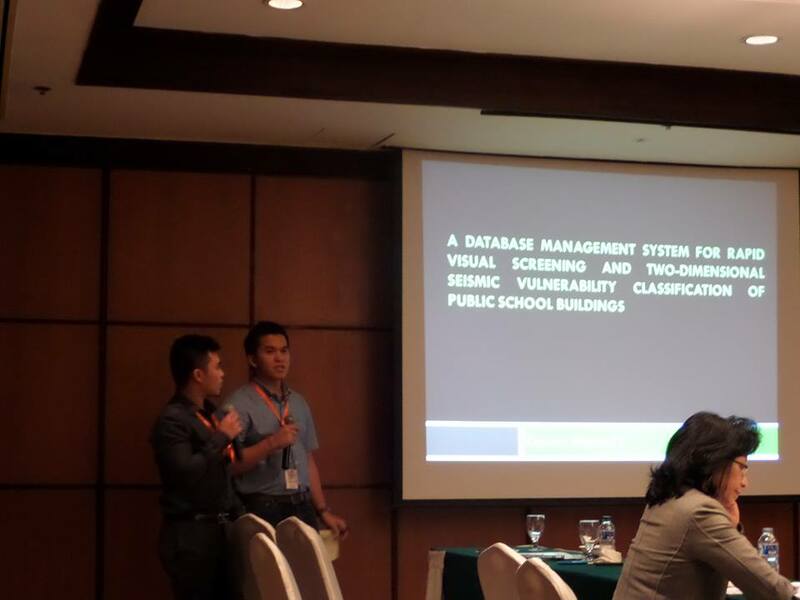 The group of R. Caparos and J. Revelo presented in the conference under the Construction Engineering and Management/Applications of Information Technology category, while K. Brizuela presented under the Disaster Mitigation, Adaptation, and Preparedness Strategies category. CECAR 6 is a major activity by the Asian Civil Engineering Coordinating Council (ACECC) held on a triennial basis and joined by various civil engineering organizations around the world: American Society of Civil Engineers (ASCE), Japan Society of Civil Engineers (JSCE), Korean Society of Civil Engineers (KSCE), Chinese Institute of Civil and Hydraulic Engineering (CICHE), Engineers Australia (EA), The Institution of Civil Engineers (ICE), Mongolian Association of Civil Engineers (MACE), Vietnam Federation of Civil Engineering Associations (VFCEA), Philippine Institute of Civil Engineers (PICE) and Indonesian Society of Civil and Structural Engineers (HAKI). The 7th CECAR will be held at Hilton Hawaiian Village, Waikiki, Oahu, Hawaii on August 30 – September 2, 2016 with a theme of “Ho-'Omalamalama*: Building A Sustainable Infrastructure In The Asia Pacific Region”. It is to be hosted by the American Society of Civil Engineers (ASCE). 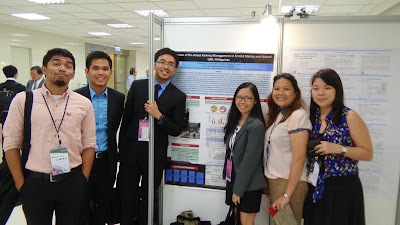 DLSU CE faculty researches will be presented at the Seminar-Workshop on Utilization of Waste Materials on September 5-6, 2013 at the Henry Sy Hall, De La Salle University, Manila. 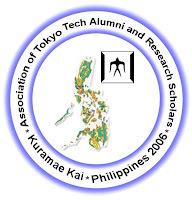 The event is organized by the Association of Tokyo Tech Alumni and Research Scholars (ATTARS), Tokyo Institute of Technology, Department of International Development Engineering Alumni Association (IDEAL) of Tokyo Tech and De La Salle University.The seminar-workshop hopes to bring together technologists, engineers, scientists, field project managers, representatives from NGOs, governments, academia and industry to promote discussions on the development of sustainable engineering solutions on the management and utilization of waste. 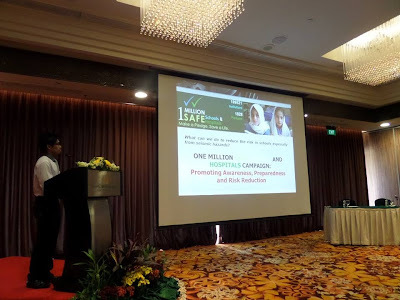 The seminar-workshop provides a venue for all the concerned stakeholders to share their work, exchange ideas and meet others who are involved in waste management and an opportunity to formulate projects with new partners. Listed below are the papers that will be presented in the two day event. 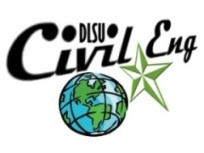 The seven papers from the DLSU Civil Engineering Department are underlined and marked with asterisks. A5: INFLUENCE OF CURING TIME ON THE ELECTRICAL RESISTIVITY OF CONCRETE CONTAINING CRYSTALLINE RICE HUSK ASH - Jean Marie M. MACATANONG, Marish S. MADLANGBAYAN, Joseph M. CABURNAY, Richelle G. ZAFRA and Eliseo V. ANA Jr.
B1: PERMEABILITY CHARACTERISTICS OF ROAD BASE MATERIALS BLENDED WITH FLY ASH AND BOTTOM ASH - DUNGCA J., Alday J., BARRETTO M. A., BAUZON M. K., TOLENTINO A.